Posted by Jaidis in 4 Tree Reviews, Book Reviews, Book Tours, Books, Jaidis Shaw Reviews, Nurture Your Books. Get your copy of Cankered Roots on Kindle! Alexandra Campbell, a spunky young widow, partnered with Brighamina Poulson, an even spunkier, rifle-toting grandmother thinks that as they have begun a genealogy business (RootSearch, Inc.), it is high time she finds out her family secret. Something went wrong in her family during her adolescence, changing her mother from a Chicago North Shore matron into an alcoholic and a doting father into a workaholic. The moment she graduated from High School, she was sent to the Sorbonne in Paris with a generous bank account and instructions not to return. It is now fifteen years since she has seen her parents, and she intends to lay the ghost that has separated her family for good. However, as usual in Alex’s unpredictable life, things do not go as planned. After an acrimonious fight with her once beloved father, she leaves with only a wallet-sized photograph of a woman she knows nothing about. That night, Alex’s father is killed. Bewildered and grieved that her family can never be whole again, she soon finds out that she is the chief suspect in the murder. With the unflappable Briggie at her side, she uses all her new genealogical skills, and (with the help of Briggie’s deer rifle) discovers a secret so bizarre that she finally understands why her parents wanted her far away and safe. Join Alex and Briggie in the first of their hair-raising adventures! Originally written in 1993, this new edition of Cankered Roots was a pleasure to read. Taking a step back from modern technology, Alex and her friends have to uncover her family history by traditional means – searching libraries, microfilms, court documents, etc. It was so nice to read a story that isn’t built around technology and how easy it is to find information online. Throw in nice doses of mystery, blackmail, unknown identities…even a dash of romance…and Cankered Roots is a great book to get lost in. I am eagerly looking forward to reading more adventures from Alex and her friends. 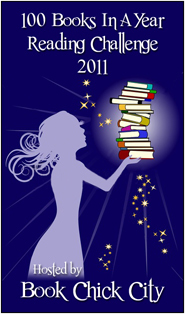 Posted by Jaidis in Giveaways, Nurture Your Books. 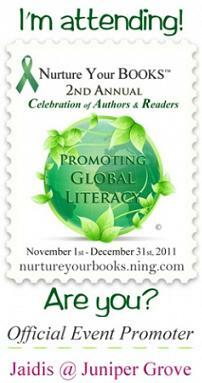 The BIG EVENT — Nurture Your BOOKS™, 2nd Annual Celebration of Authors & Readers Worldwide, from November 1st to December 31st, 2011 – 24/7! Contests & Giveaways: More than $8,500.00 USD worth of Event-related prizes!! Here are some of the current giveaways that are LIVE! Ten (10) of his Sam Jenkins mysteries have been produced as audio books and simultaneously published as eBooks or under contract. His first full-length novel, A NEW PROSPECT, was named best mystery at the 2011 Indie Book Awards. A new full-length novel, A LEPRECHAUN’S LAMENT, is on the coming soon list at Iconic Publishing and will be available in print for early 2012. For more information on Wayne’s Sam Jenkins mystery series see www.waynezurlbooks.net. You can read excerpts, reviews and endorsements, interviews, coming events, and even see photos of the area where the stories take place. Without giving too much away, can you tell us what A New Prospect is about? Sam Jenkins, a retired New York detective with a bit of a mid-life crisis, reluctantly takes the job as chief of police in the small touristy town of Prospect, Tennessee. His first weekend on duty provides a complicated homicide to test his old skills. I began writing A NEW PROSPECT in the summer of 2006 knowing nothing about creative writing or the publishing business. I learned along the way…the hard way. In August 2010, I was offered a contract to publish and the book was released in January 2011. I always remember movies or books where aging heroes try to do what they did at a younger age. Movies like Robin & Marian and more recently Red are two that immediately come to mind. I wanted to write about a middle-aged cop who gets things done the old-fashioned way. Read A NEW PROSPECT and meet a memorable protagonist and a cast of quirky supporting characters scattered throughout an authentic police mystery. I’ve evolved to telling a story in the fewest words possible—almost but not quite in the hard-boiled style. I put lots of emphasis on characters and dialogue to tell the story. I make sure each person speaks with a unique voice. And the Protagonist often dishes out timely portions of sarcastic humor. I find myself doing lots of post-publication marketing, mostly on the computer—hours a day, actually. Writing is fun. The promotion angle is too much like work. So, whenever we get the opportunity, my wife and I travel and try to do some really cool stuff. Like a river boat trip from Budapest to Amsterdam, a small boat along Alaska’s inside passage, or a buffalo round-up in South Dakota. We don’t lie on a beach and read. My wife is very supportive. She’s my first line proof reader and chief source of pep talks. NEVER GIVE UP! 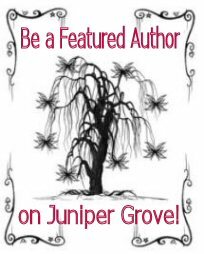 A veteran author once told me, “Sometimes tenacity trumps talent.” Start out looking for an agent. If you can’t find someone interested, write to publishers who will accept submissions directly from a writer. That worked for me. If you can’t break that barrier and you really believe in your work—self-publish if you have the money to invest. In any case, be prepared for lots of work after your book hits the shelves or the data bases. More than I envisioned. Generally communications take the form of quick emails and occasionally they write reviews. I’m not a fan of the modern concept of conflict for the sake of conflict. I’d rather leave that to the phony “reality” TV shows. I’d like to see a simple plot sparked up by quirky, memorable characters and snappy, natural dialogue. Guys like Elmore Leonard (who just celebrated his eighty-sixth birthday) have been doing that successfully for years. What genre do you find the most difficult to write in and why? Because of my professional background, I only write police mysteries. I tried a Vietnam War story once, got a few chapters into it and realized the language was so flagrant, I’d be embarrassed for my aunt to read it. But that was the reality I knew and I wanted it realistic. So, I scrapped the idea. I doubt I could ever do justice to a Sci-Fi book or story. There are just too many technicalities involved that fans would demand and I don’t know. An eleven year old sci-fi buff could do a better job than me. But I think I could pull off a pretty good western some day. The one big thing I had to overcome was not letting my fiction sound like a police report. Fiction requires much less detail than a real report where you’d get crucified for leaving out any material facts. I like the “arrive late, leave early” writer’s concept that lets the reader’s imagination fill in the blanks. It took me a while to learn how to efficiently do that. Do you ever experience writer’s block and if so, how to you overcome it? All my basic storylines come from experience—something I worked on, supervised, or just knew a lot about. But often fact isn’t as interesting or exciting as fiction needs to be. So, I have to figure out how to embellish actual incidents. Sometimes the simple fact that Mr. A killed Ms. B because they were both drunk and got mad is boring. Occasionally, I’m at a loss for a plausible and exciting reason that resolves the story. I talk it over with my wife and see what we can dream up. That usually works. The late Robert B. Parker’s final Spenser novel, SIXKILL. It was published after his death. Good book. It had all the elements of the best of the Spenser series. I liked it. A question like this gives me writer’s block. I’ve been poisoned by almost two years at an on-line writer’s workshop. Whenever I read a book, I find myself looking for better ways to phrase something, better words to use, and how to rid the world of passive voice and lazy state-of-being verbs. So, it takes me twice as long to read something than before. One of my favorite books is NORTHWEST PASSAGE by Kenneth Roberts. It takes place during the French & Indian war of 1754 to 1763 in upstate New York. I’ve always seen similarities between the F&I War and the Vietnam War—both took us from engaging in more conventional conflicts to unconventional warfare. I’d like to take the basic premise of Roberts’ book and move the story up to the 1960’s in Southeast Asia. I’ve just sold two novelettes (numbers 9 and 10 in the Sam Jenkins series—THE GREAT SMOKY MOUNTAIN BANK JOB and FATE OF A FLOOZY) that are going to be produced as audio books and simultaneously published as eBooks. These projects are moving along nicely. My second full-length novel, A LEPRECHAUN’S LAMENT has just passed the second round edits with flying colors and is ready for formatting. The cover art is finished and the promotional video is being worked on as I’m writing this. The target release date is early 2012. I just signed contracts to create two hard copy anthologies from ten novelettes. SMOKY MOUNTAIN MYSTERIES will be slated for 2012 and MORE SMOKY MOUNTAIN MYSTERIES for 2013. And I’m almost finished with my final edits for another Sam Jenkins novel, HEROES & LOVERS, and will be able to send it to the publisher when he’s ready. I hated the most recent SHERLOCK HOLMES film starring Robert Downey Jr. and Jude Law. I’ve read all 56 stories and 4 novels from Conan Doyle and couldn’t get beyond the special effects and having Holmes featured as a kung fu consulting detective. How many books do you read a week/month? Two or three a month. I’d like to take a walk through the 19th century American west. As a kid, I read lots of non-fiction about the era, the famous players, and the locales. I’ve never quite gotten the “cowboy” out of my system. I’ve never been a very competitive guy, unless you count competing with myself. I feel successful if I can achieve a personal best in most any thing I’ve tryed. If I can honestly say I gave any given task 100%, the end product is successful. Or at least the best I could do. Of course, trying to tune up a new computerized car by myself doesn’t count. A terrier. I’m pretty tenacious and I guess I’d jump into a barrel and fight it out with a badger if I had to. If you had to trade lives with someone for an entire week, who would you trade with? Keep in mind that they would be living your life as well. WNBC’s Al Roker. I think he’s got a good personality and one of the greatest jobs in the world. We didn’t speak personally, but the famous David Crockett said, “Be sure you’re right and then go ahead.” I take that to mean be your own man. Don’t let peer or other pressure influence you to so something you don’t consider proper, or dissuade you from something you do. I smelled chitlins cooking once. NOT FOR ME. Since you said PET peeve, I’m assuming I shouldn’t tackle something big like how to prosecute the war in Afghanistan or the separation of church and state. How about discourteous drivers? We drive a lot every year and in all areas, so we get to see how little the average driver considers their fellow human being. Most of the rules of the road aren’t written just to see if we know how to follow directions. They’re all about courtesy and safety. Thank you Wayne for that insightful interview! Living in the South where chitlins are cooked everywhere…I’d have to agree with you. Just the thought of them turns my stomach. Get your copy of A New Prospect on Kindle! Check back on December 13th to read my review of A New Prospect!